As February ebbed and the rivers rose, the Marietta community came out in droves to actively support local home owners, businesses and downtown organizations in the flood plain. Hundreds of volunteers, from students to professionals, lent a helping hand as high waters threatened the area first on the 16th and then again on the 23rd. Though the second flood mercifully fell short of the potentially catastrophic 46’ prediction, the area teamed up to prepare for the worst. Marietta High School crew members were among the community volunteers. Members of the girl’s crew team helped integrated marketing firm Offenberger & White, located in Harmar Village, prepare for the second flood on Friday, February 23. Though we have seen worse, the February floods still left their mark. Many residents and businesses still faced damages and thick river mud coated streets, sidewalks and trails throughout the downtown district. The MHS crew team, MHS Tiger Navy, also impacted by the flooding, faced even greater losses at the very beginning of the year. On Friday, January 12 the docks at the Carl L. Broughton Boathouse were torn away and lost down the river. 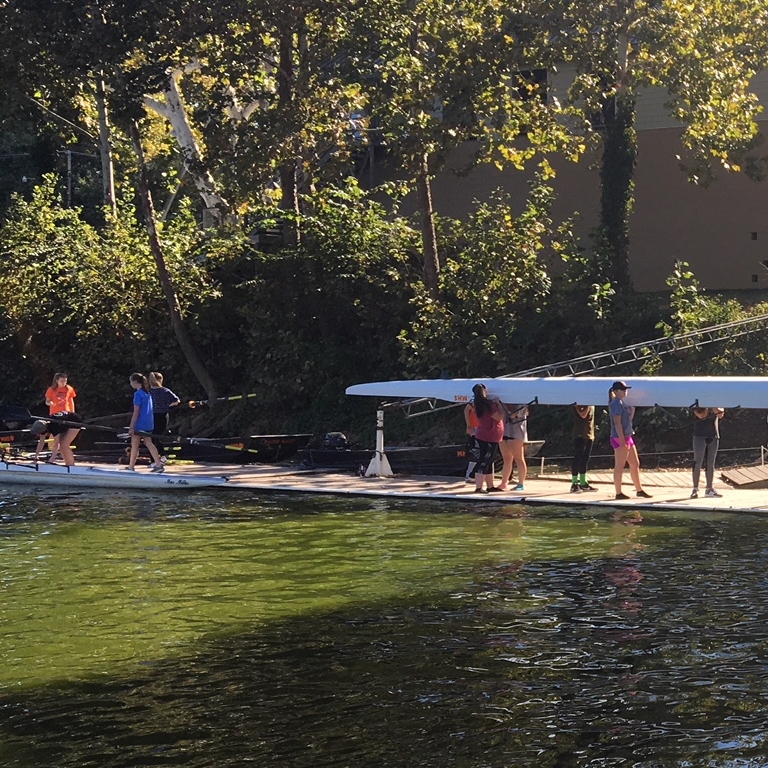 Though the high school team is able to use Marietta College’s docks during practices, their own are required for competitions. Because of the specialty design necessary for the rowing docks and anchors, construction costs are typically in upwards of $100,000. Yet just as crew members and other volunteers came together to actively make a difference, the community joined together to fund the purchase of replacement docks. To help save on total production costs, several parents who are engineers by trade stepped forward to build the new docks and anchors properly. The donated labor helped reduce the necessary costs to just over $30,000. Community support for the match challenge, issued by George Broughton, fetched donations from non-profits as well as private donors. Yet the total raised still fell short. At the end of February, the Marietta Community Foundation Board approved a grant of up to $5,000 to cover the remaining expenses. This out-of-cycle grant helps bridge the funding gap and ensure project completion. The MHS crew team has 55 members who train year-round and gain valuable experiences through their intensive drills and competitions. Construction of the new docks benefits our MHS Tiger Navy as well as the Mid-Ohio Valley Community. The teams fundraising arm, The Harmar Rowing Club, as well as the Marietta Rowing and Cycling Club also provide numerous river activities for the whole community. Donations of time and money for this project came together very quickly and many of the donations came from funds held at the Foundation.